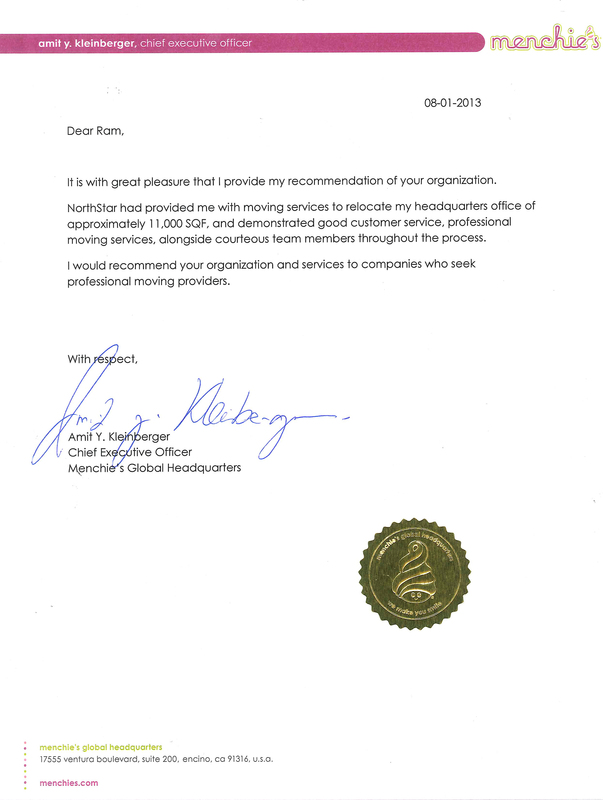 It is with great pleasure that I provide my recommendation of your organization. NorthStar had provided me with moving services to relocate my headquarters office of approximately 11,000 SQF, and demonstrated good customer service, professional moving services, alongside courteous team members throughout the process. I would recommend your organization and services to companies who seek professional moving providers.